Father’s Day may only come around once a year, but hey – fathers are fathers all year, and it’s about time they were rewarded with a little something they can enjoy year-round. Treat the fathers in your life (or yourself, if you’re a father, too) with a Martian mVoice Smart Watch. The Martian mVoice AE series is a stylish timepiece that’s perfect for encouraging a healthy, active lifestyle. 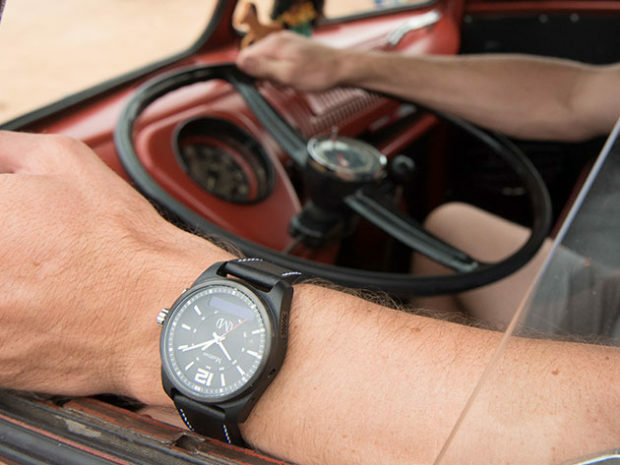 While it may look like a traditional analog watch, it’s actually packed with technology, and can provide turn-by-turn navigation, notifications from your most used apps, and compatibility with the voice assistant Amazon Alexa. You can place or accept phone calls with a simple tap, and you can even use the watch as a control for snapping group photos. If you’re about to accidentally leave your phone somewhere, your watch will give you a warning. It works all of this magic via a Bluetooth connection to your Android or iOS smartphone. So do something nice for Dad this year, and treat him to a Martian mVoice Smart Watch. Get one for only $69.99 in the Technabob Shop. If you want a lot more from your watch than just the time, this smartwatch is unlike any on the market. The Martian mVoice AE series boasts bold, stylistic features while maintaining an active lifestyle design. And it’s on sale now for 55% off the regular price. 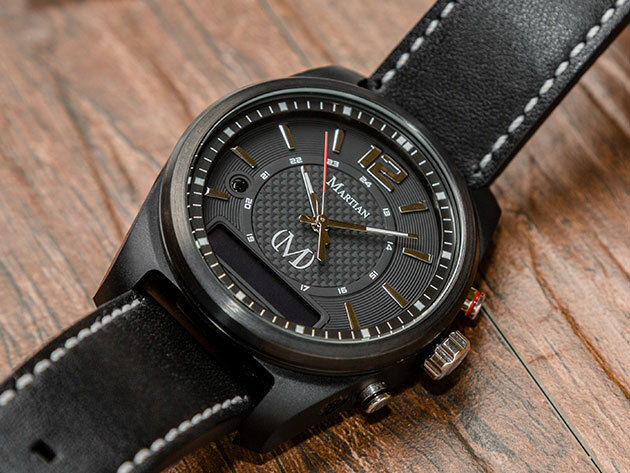 This watch presents a timeless appearance with an uncluttered 24-hour analog clock display, but it’s packed with smart features like push notifications, turn-by-turn navigation, and even Amazon Alexa compatibility. That’s right, you’ll be able to control your home devices from the convenience of your wrist. The watch even has a shutter control that you can use to snap photos, including selfies. Don’t just check your watch for the time. Do more with the Martian mVoice Smartwatches with Amazon Alexa. Get yours for just $129.99(USD) in the Technabob Shop – more than 1/2 off the MSRP.